As a homeowner, you might think a fast response time is the most effective measure in stopping a burglary. However, an alarm company cannot guarantee a quick response from police, but having an alarm system can be key to thwarting a burglary. The truth is, most security companies respond to alarms in approximately the same timeframe. For example, the response time might be in 15 to 60 seconds, but a quick response time from a security company doesn’t necessarily mean a fast response from police. Police response time varies from city to city. The real benefits of having a home security system are more about deterring a burglar and limiting the loss if a burglary does happen. The simple presence of an alarm system can deter burglars from entering your home, causing them to move on and target another residence. The sound of an alarm going off at your home after a break-in, can also decrease the amount of time a burglar is willing to stay inside your home. A study by the Department of Criminal Justice and Criminology at the University of Carolina documented some interesting facts about burglars and their reactions to home security systems. After questioning 422 inmates convicted of burglary, the study concluded that 83 percent said they would look for a different home to burglarize if they learned their target home had a security alarm system. Around half said they would completely stop a burglary already in process if they found an alarm system, and approximately 31 percent said they might retreat. Only 13 percent said they would continue with a break-in after finding an alarm system. Unfortunately, having an alarm system won’t deter every break-in. But having one can limit the time a burglar stays inside your home after breaking in. 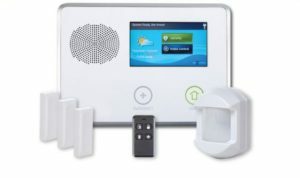 According to the Electronic Security Association, a break-in causes an average loss of $5,342 in homes without a security system and an average loss of $3,266 in homes with a security system. That is a 39 percent difference! If you’re interested in having a security alarm system installed in your home or business, give us a call to discuss the many options we have available. Choose Holder’s Total Security, a company you can trust to be around to support your system and honor your contract. In business since 1959, Holder’s has the experience and longevity you want and need to protect your home or business. Give us a call at (918) 663-8660 or visit our website HolderSecurity.com for more information. This entry was posted in Home Security System. Bookmark the permalink.